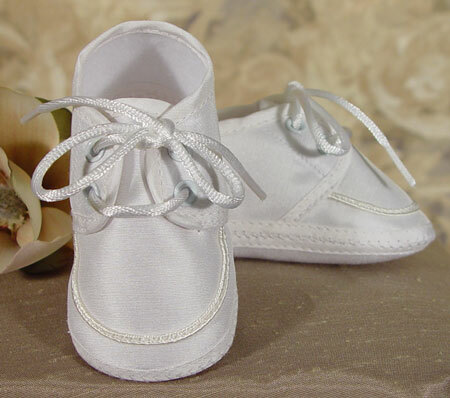 Beautifully constructed boys oxford Christening shoe made of 100% silk dupioni. This shoe is made of the same silk as our boy's sets. A tiny braid accents the toe. When you want the perfect touch to finish your silk boys Christening set this shoe can't be beat. The color is slightly off-white or Champaign white.